Like it or not, winter is on its way. Gone are those sunny days spent driving to work with the windows wound down, to be replaced by dark frosty mornings and wet weekends. But not to worry as there’s still plenty of time to get your car winter-ready before the season takes hold. To help out, here’s our guide on how to get your car ready for winter driving. While looking after your motor is vital all year round, it’s especially important during the winter. Not only can cold weather take its toll under the bonnet, poor conditions can make driving hazardous — especially if your car is poorly maintained. Here we’ll offer some basic tips and advice on how to make sure your car is in sound condition, ready for winter. It’s not just ice and snow you need to worry about during the winter months; wet conditions can be just as hazardous. For your car to have plenty of grip throughout winter, check the condition of your tyres. If the tread is looking low, or there’s any damage, it’s worth buying a new set of tyres or at least rotating them front to back. If you’re not sure how to rotate them, your local mechanic should be able to do it fairly cheaply. Although flat tyres are a pain at any time of year, they’re particularly annoying in the winter. When you’re on your way home on a dark, wet evening, the last thing you want is to have to fix a flat tyre by the roadside – it’s frustrating and could even be dangerous if you’re on a busy road. Keep a can of Tyreweld Emergency Car Tyre Repair in your boot however, and you’ll be back on the road in minutes. With its easy to use twist and go action, Tyreweld re-inflates your tyre and then seals it. You don’t need special tools — Tyreweld works while you stand safely away from passing traffic, letting you complete your journey without the hassle of trying to change the wheel by the roadside. For those that drive an old car, winter can spell trouble for your battery — in fact, batteries are one of the main causes of breakdowns on UK roads. If your battery has caused problems in the past, or if you haven’t driven the car for a while, charge it thoroughly before winter or consider buying a new one. New batteries are relatively cheap to buy, and doing so could save you from the hassle of a breakdown. Coolant/antifreeze is designed to protect your engine in hot and cold conditions, so it’s important to check that it’s topped up before the temperatures drop. The coolant/antifreeze level should be within the min and max marker on the reservoir. If you’re not sure how much coolant/antifreeze is in the system, your local garage will be able to check this for you. If you need to top up the coolant/antifreeze, be sure to use a high-quality product that’s tested in all weathers. 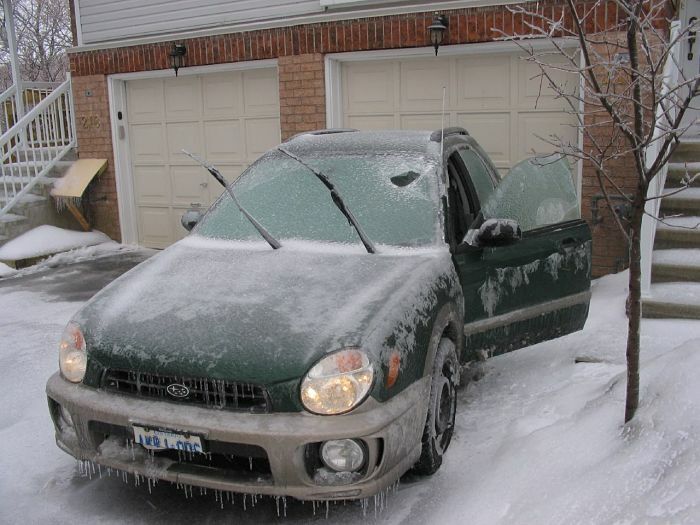 If you drive a lot during the winter, you’ll go through screen wash like it’s going out of fashion. When adding new wash to your car, opt for a product that will work at low temperatures. 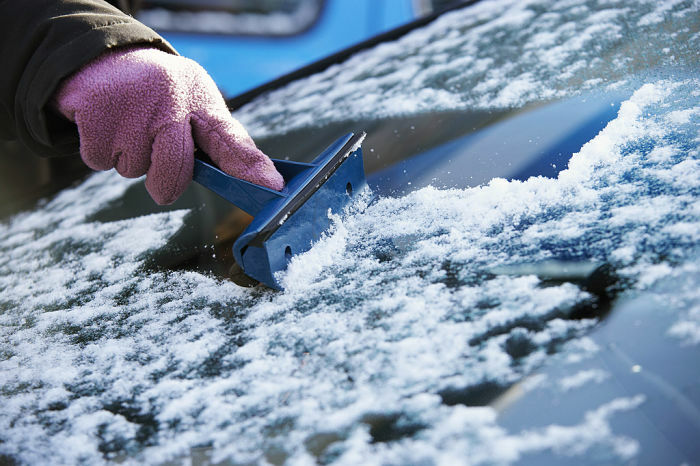 Not all screen wash is the same, and using a product that hasn’t been tested in cold conditions could lead to the liquid freezing in the bottle — making it impossible to wash the windscreen. Winter can really take its toll on wiper blades, so be sure to check them for signs of wear and tear as the season progresses. If the rubber blade wears low it won’t remove water, ice and snow efficiently from the windscreen — causing all sorts of visibility issues. If they become frozen to the screen, be careful when freeing them up as they can break easily. It’s also a good idea to give them a wipe every now and then to make sure they’re working their best. To keep your car in top condition through the winter, check that all exterior lights are in full working order — including any fog lights. It’s also a good idea to check your oil, and make sure the car has got plenty of fuel before setting off on a long journey. Like we mentioned before; winter can cause all sorts of issues beneath the bonnet — and starting problems are just one of them. On cold mornings liquid fuel evaporates more slowly, making it difficult to ignite in the combustion chamber. If your car experiences starting issues in the cold, invest in a bottle of Bradex Easy Start. When sprayed into the air intake, Bradex makes its way through the engine to the combustion chamber, where it works to make the mixture more combustible. At Holts, we’d recommend keeping a can of Bradex Easy Start handy — especially on those cold winter mornings when you need to get the kids to school or make it to that important meeting on time. 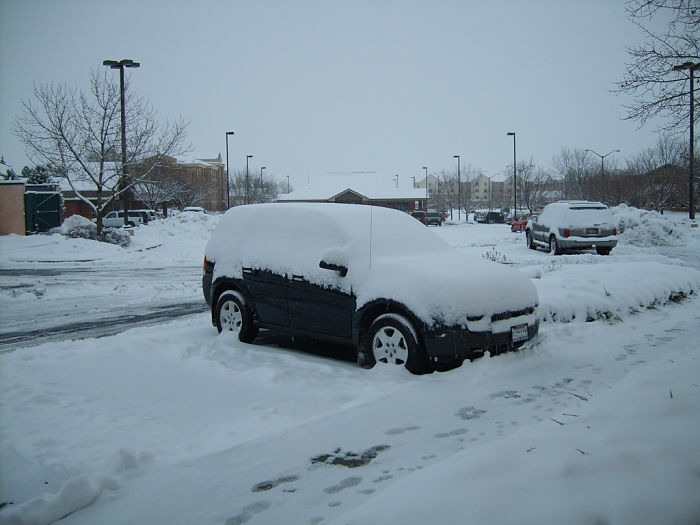 Getting your car ready for winter doesn’t just mean checking its overall condition. If you do a lot of miles through the winter months, you’ll want to carry a few things in your car in case of emergencies — and we’re not just talking breakdowns. From flooded roads to snow drifts, there are lots of things that can stop you in your tracks during the winter, so it’s best to be prepared. To enjoy comfortable driving this winter, you can rely on Holts to get you from A to B safely. Our handy range of DIY car maintenance products — including Tyreweld Emergency Car Tyre Repair and Bradex Easy Start — are designed to get you back on the road with minimal delay. To find out more, visit our product page. Images sourced via Flickr Creative Commons. Credit: Endlisnis, Wayne Parrack, HighwaysAgency.